"Mad Dog 20/20, it’s just right for my money." I am happy to welcome Kevin M. Thomas to this weeks edition of the Bumming With Bobcat podcast! Kevin is a singer-songwriter from Washington, D.C. known for his performances on virtual worlds such as Second Life and High Fidelity and who is also an avid MD 20/20 enthusiast! 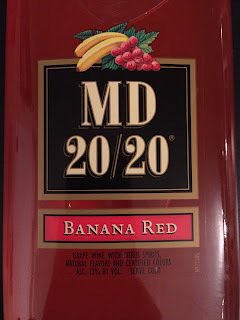 How many people do you know that wrote a song dedicated to Mad Dog 20/20? We are talking about Kevin's love of MD 20/20, the music business, drinking stories, and much MORE! To celebrate Kevin's appearance on the podcast, we have named MD 20/20 Banana Red as the BWB Bum Wine Of The Week! Be sure to check it out here and grab yourself a bottle! 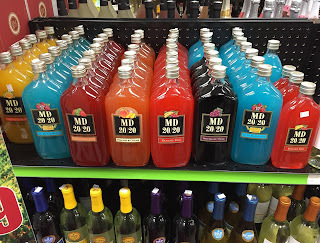 "Mad Dog 20/20, it’s just right for my money. Only $2.49 at your favorite store, and it sits right by the door. The ladies love them colors too, the more you drink the more you’ll screw. The top that is right off the bottle, ain’t no cork to throttle." All that and MORE was featured on this weeks episode! Kevin is also IN for the BWB WrestleMania 32 bash in Atlantic City! We want YOU to join us as well! Check it out and tell your friends! Cheers! Listen to "Bumming it with Kevin M. Thomas" on Spreaker.